Samuel Beckett once described writing Watt as “a means of staying sane” while he was on the run from the Gestapo. From that experience, Beckett and Watt are grappling with experiences that they can't quite understand. In this stage adaptation of his novel, you can see the character of Watt trying to make sense of the world, in all its fascinating complexities. This is a simple story, told in a simple way, through a performance that feels lived in and true. Writer and actor Barry McGovern has spent lot of his career performing in Beckett plays. He’s been Vladimir in Waiting for Godot and Clov in Endgame and appeared in half a dozen other works by Ireland’s pre-eminent dramatists. Watt travels on a train to Mr Knott’s house and becomes his manservant. He works on the ground floor and then moves on to working on the first floor. Then takes a train to somewhere, though perhaps this last train journey – to the farthest end of the line – is really just taking us back to the beginning of Watt’s story, where he climbs out of poverty to make something of himself. The stage is almost bare. A chair that is almost never used. A small hand trolley. Watt carries on luggage and takes off a bowler hat. Before a word is uttered, Tom Creed’s production feels Beckettian – revelling in a long silence before we know a thing about this lanky man and where he’s headed. The Beckett Estate is very particular with how his stage plays are produced; they insist his stage directions are followed precisely. I wondered if adapting his prose allows for any chance to push boundaries, though the sparse action doesn’t call for anything more elaborate in set or costume. Sinead McKenna’s lighting design is very effective, enhancing Watt’s journey – making us feel the coldness of the train platform or the cosiness of Mr Knott’s house without distracting from McGovern’s superb performance. This show reminded me a lot of Eamon Flack’s production of The End, the Beckett short story that was performed by Robert Menzies. In both cases, I was captivated by early moments, felt a little lost in the middle, but was drawn back in as the shows ended. I wondered if perhaps they might have been more effective as radio dramas and then remembered that the precise movements and subtle lighting state transitions and the bravura performances at the centre will be what I remember. 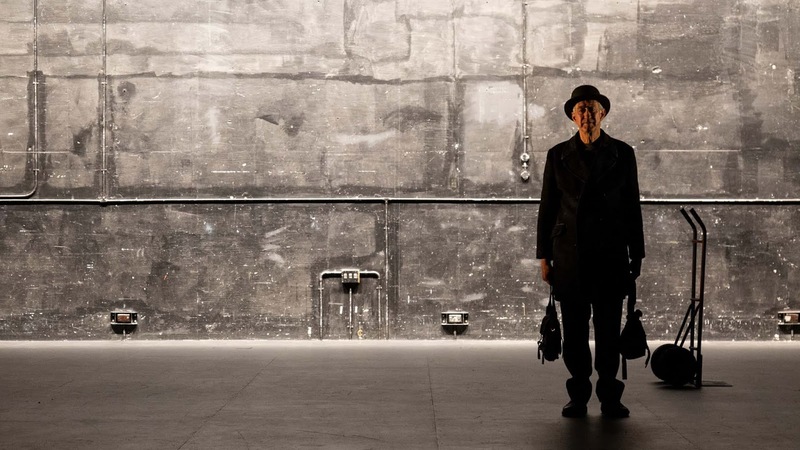 This is theatre at its most minimal – where nothing seems to happen but a lot is said. 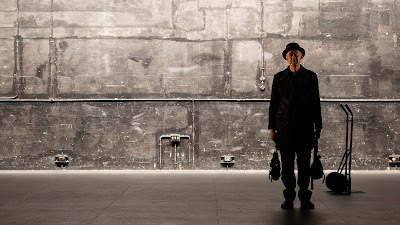 Watt is on as part of the Melbourne International Arts Festival until October 13.